Ed, thanks for your most interesting post. I didn't know about the Sumpter Valley Railroad.......looks like a great bunch! Nice to know from your other post that Michelle and Emily are in good shape thanks to those friendly neighbors, and will bet that was a case of "bread cast upon the waters." Not railroad related ... but you could mention to the group that the WW&F has a couple of old Fords, one with flanged wheels. That could get some interest from the auto enthusiasts. 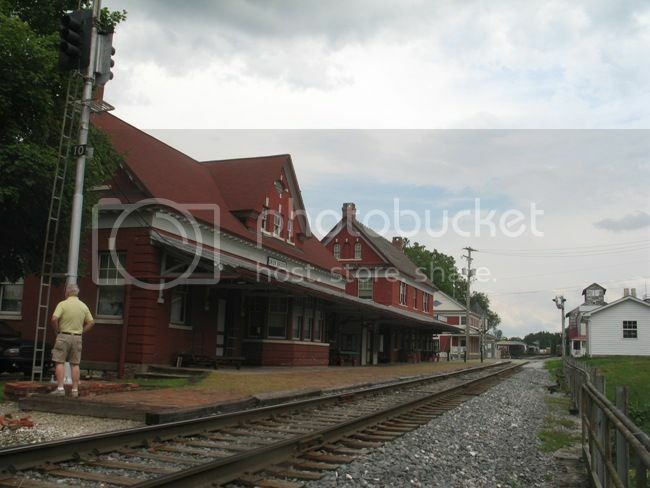 My latest visits took me to the Point Of Rocks RR station and the Western Maryland RR Museum in Union Bridge Maryland. At Point of Rocks I met a fellow and his nephew who were there to watch trains. 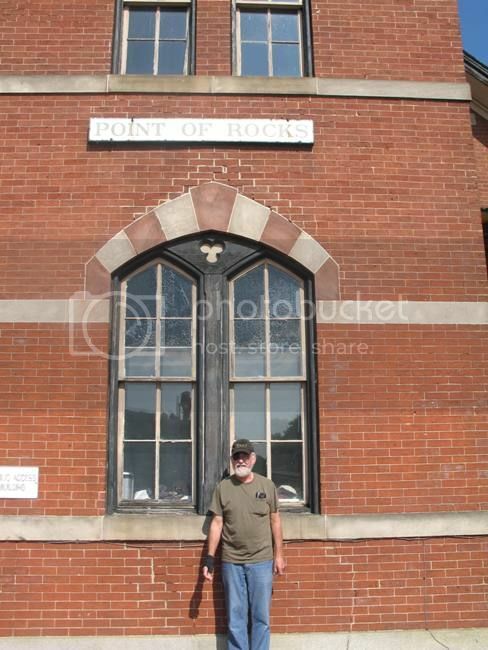 They graciously took my picture in front of the station. Of course I made sure they knew a bit about the WW&F and our website. 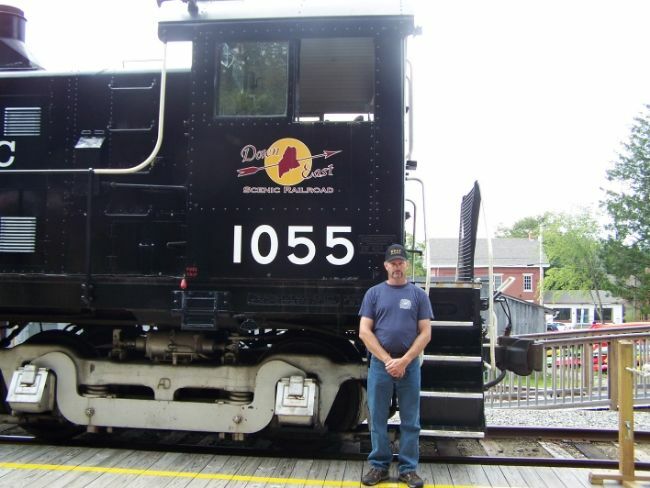 A couple days later My cousin and I visited the Western Maryland RR Museum in Union Bridge Maryland. I was surprised that Union Bridge which is a small town was headquarters to the Railroad. We were given a guided tour of the museum and several of the members wanted to be remembered to Stewart and they are definately aware of the WW&F and Stewarts involvement. Unfortunately my cousin goofed up and ended up not taking a picture of me in front of the museum with my WW&F hat a shirt. Oh well perhaps another time. 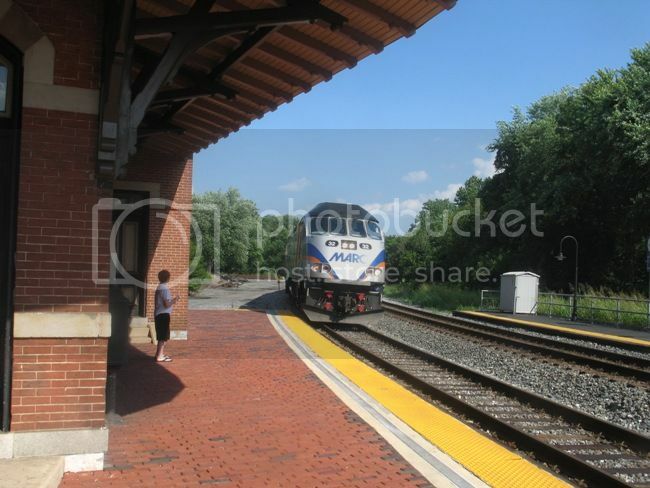 MARC train arriving from DC. 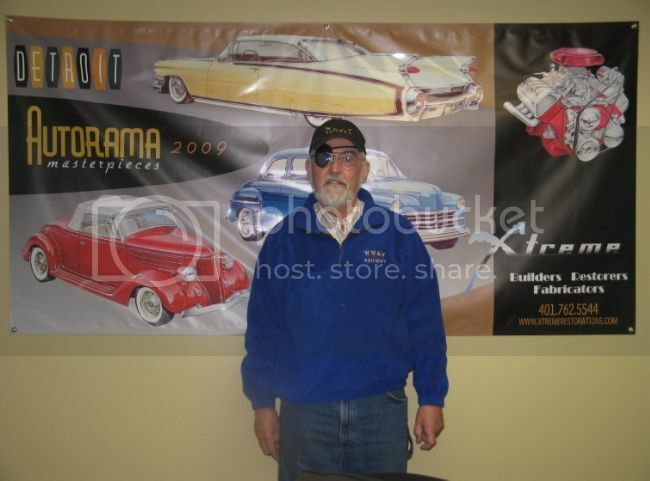 Here I am last Thursday morning at the Rough & Tumble Engineers 65th annual reunion show at Kinzer, Pa. I'm posing with a Buffalo-Springfield road roller built in 1901. You'll note that I'm wearing my WW&F T-shirt. Anyway, in 1968, I operated this very roller for a week during the Williams Grove Steam Engine Association's annual Labor Day week show. At the time it was owned by Abe Warner of Washington Boro, Pa. It has since gone through several owners and is now the property of R&T. It's currently not in service, in need of boiler work, but it was great to see the old thing again. This show at Kinzer has something for everyone and lots of steam action, from traction engines and road rollers to a sawmill to a number of very large stationary engines and two narrow gauge steam railroads. The 2014 show is Aug. 13-16, so mark your calendars now! 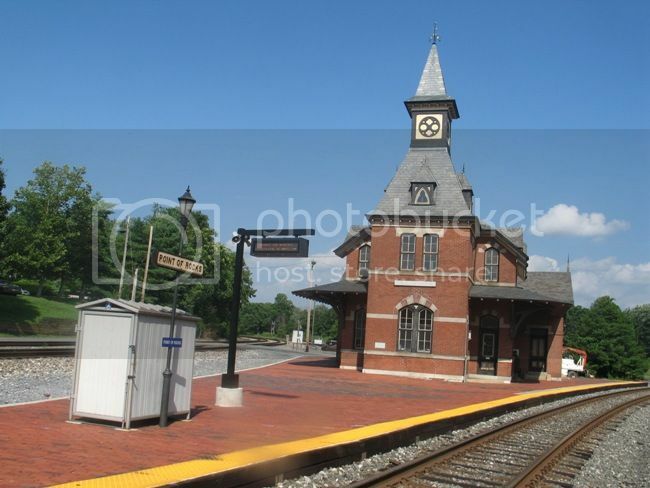 By the way, the Strasburg Rail Road and the Railroad Museum of Pennsylvania are less than 10 miles away. As for my T-shirt, two people stopped me and said they had visited Sheepscot and asked what was new, and one fellow (who was running a small vertical boiler Buffalo-Springfield) engaged me in a lengthy conversation about the WW&F. He said he'd only vaguely heard about us but remembered a piece in Trains about it. He was pretty surprised when I told him I'd written the article. He promised to visit sometime this fall. I was also at R&T Thursday (Friday & Saturday) wearing my WW&F ball cap. I did buy some blacksmith tools and hammers for our future blacksmith shop/boiler shop. Also picked a poker, scrapper and coal shovel just the right size for #9. I am a sustaining member of the Rough and Tumble Engineers Historical Association and have attending the fall shows since 1965, when I can. The weather was super this year and so was the flea market. I also found a good source for hardys (a hardy fits in the square (hardy) hole in an anvil and can perform a number of functions) for the shop. I asked the instructors at their blacksmith school if they might come up to Alna to teach us a blacksmith class when we get our shop finished. They responded in a very positive way. Will have to keep it in the tickler file. Ask Jason what a 85 HP Case traction engine sounds like running loaded at full throttle. Today the WW&F Lancaster Division visited the Williams Grove Historical Steam Engine Association's show near Mechanicsburg, Pa. While I was wearing a WW&F T-shirt, only one person asked me about the WW&F, and when I said it was in Maine, he commented that it was too far away to visit. When I told him I go to Maine a couple of times a year to work at the railroad, he just shook his head and muttered something about my mental state. Anyway, among the attractions, they were running a sawmill, sawing some pretty hefty poplar and pine logs using a traction engine to power the saw and the edger. There were also a couple of engines working the Baker fan, which is just a big fan blade that makes the engine work. Downeast Scenic was my destination this morning. Interesting. And I got to ride behind one of my favorite locomotives. Nothing beats the sound of an Alco Diesel, other than steam. You usually see photos like this (sans locomotive) in the Post Office lobby! At the post office their usually holding the number. Either Mike has shrunk a lot since I last saw him, or that locomotive's a lot bigger than the ones he usually hangs around with at our museum. It might be the new shrink ray I suspected RowMow Mfg. might be working on. Not to worry, he's become a Lilliputian! I guess he'll have to switch it to "WUMBO"
..and so, apparentlly hads Mike.